Readers might be surprised how often employers fail to tie up the loose ends on basic personnel matters. 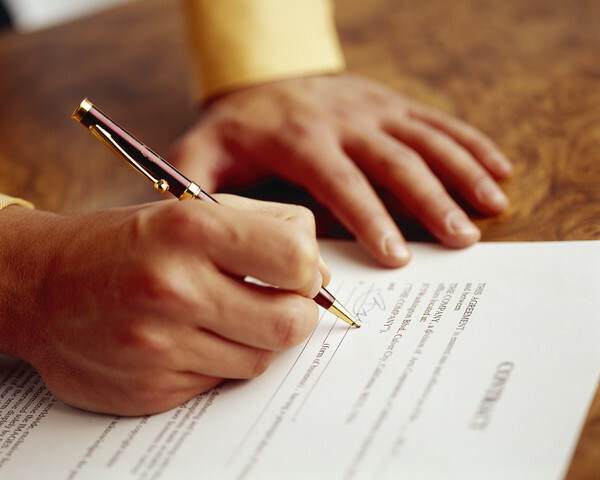 I have seen on more than one occasion a non-compete agreement which fails to contain one or even both signatures. Of course, when a dispute arises, it is difficult for lawyers to turn back the clock and figure out why this was the case. A case from earlier this year in Louisiana addressed an employee's argument that his non-compete was not binding because the employer never signed it. The agreement even said that it was only effective upon "execution." The court held, however, that a genuine issue of fact concerning contract formation existed, and the suit could not be dismissed at the pleading stage. First, as the Louisiana court held, "execution" of a contract can mean signing or performance by both parties. Therefore, just as a I wrote yesterday, I would not get too hung up on formalities. Second, contract formation may be a bigger issue if the employee (rather than the employer) fails to sign. An employee after all is the party to be bound under a non-compete, and the employer's obligations are usually not extensive. Third, it is important to look at extrinsic facts. If there truly were a dispute over whether the employee consented to the non-compete terms, then the failure to tie up formalities may express the intent that no agreement was ever reached. On this last point, it would be important to examine pre-hiring communications, an employee's voiced objections to certain terms, and other similar facts. In many cases, the employee may balk at the proposed non-compete and begin work anyway. If the issue is left hanging without any resolution, the court could conclude no meeting of the minds occurred even if the employer subjectively believes the employee had to sign the non-compete to remain employed.